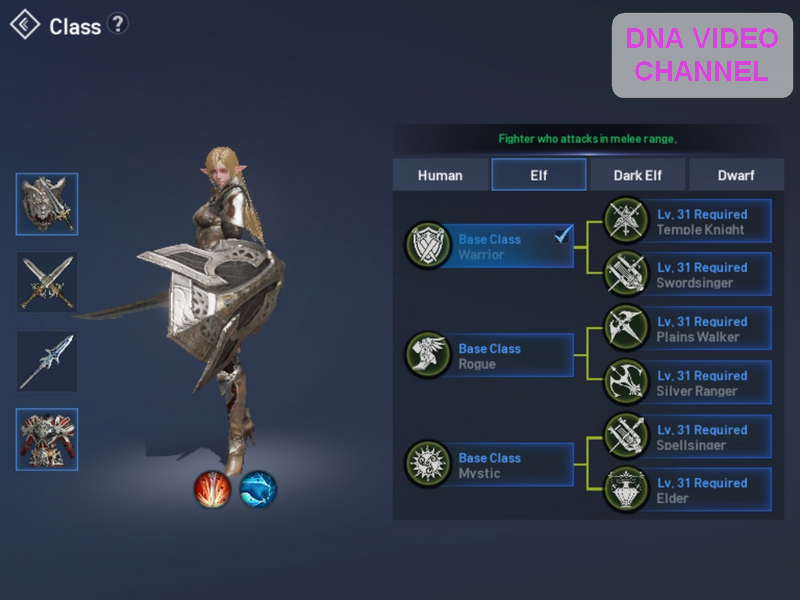 Lineage II Revolution is a MMORPG for Android and IOS. His strengths are graphic, history and the different PvP modes. It has a great potential that if used will make it a masterpiece. For the moment four stars. 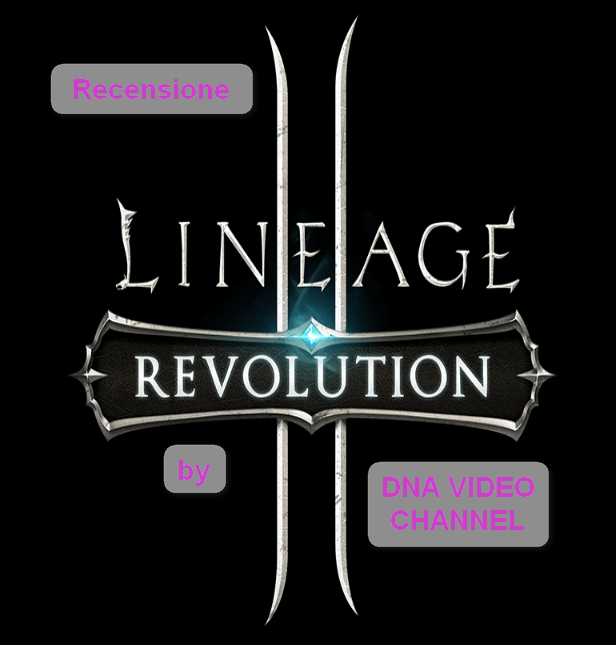 Hello and welcome back, today’s article is the Review Lineage II Revolution. 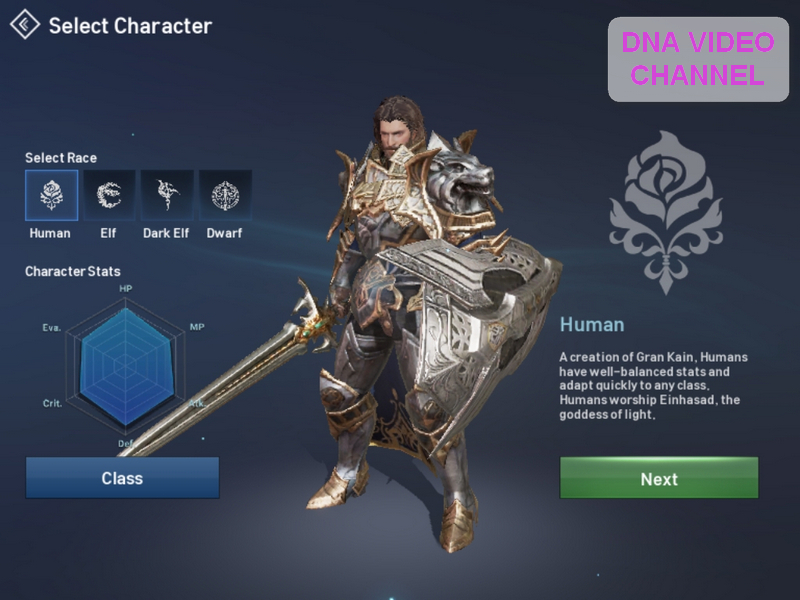 After a few days from the exit of the long-awaited Lineage II Revolution here I am to give a first evaluation of the game and to write the review. 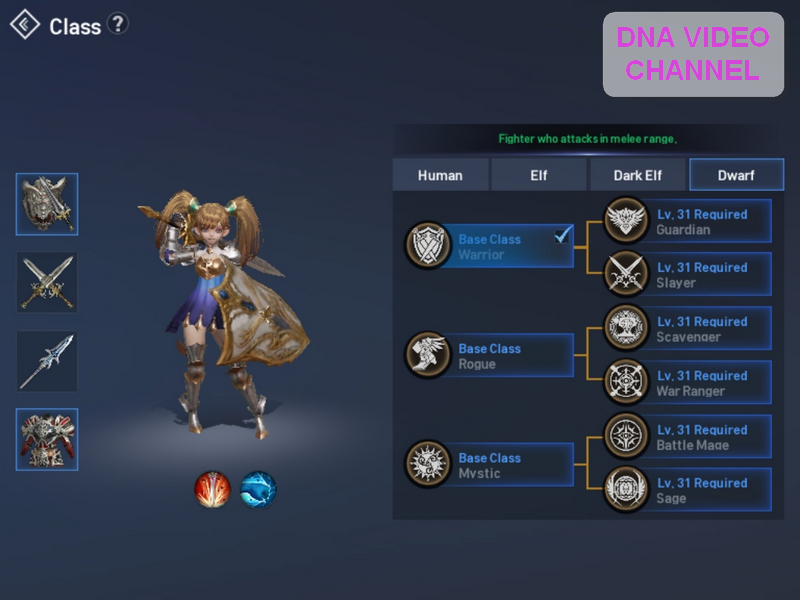 Is it really the best MMORPG for Android and IOS? We will see in the article over to give answers to these questions. Meanwhile, if you want, you can take a look at my gameplay video that shows you the early stages of the game. 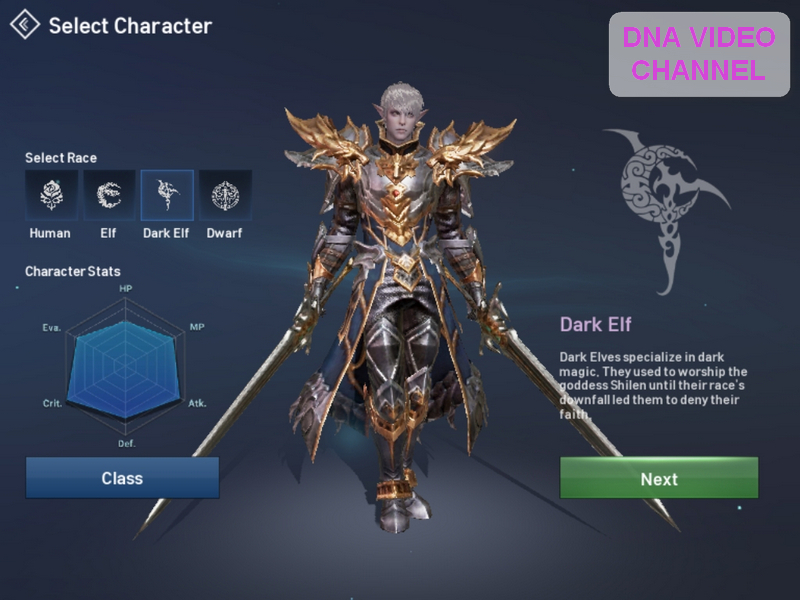 From the character selection (I chose a dark elf magician) at the first missions, you will see my first contact with the Lineage II Revolution game. 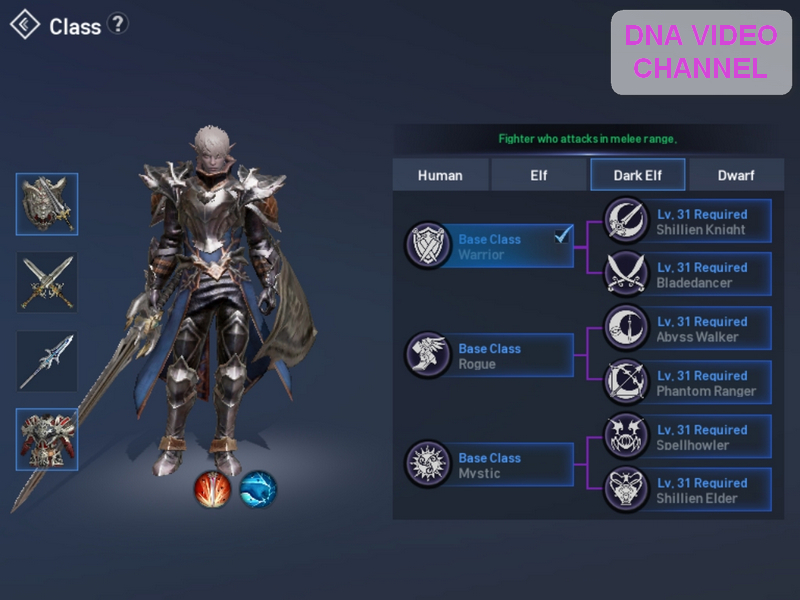 Lineage II Revolution arrives on the mobile moving from a long history of his predecessors in the desktop world. The game, like his ancestors is a MMORPG, or an online multiplayer role-playing game where your alter ego grows and develops together with those of many other players. In this type of game, the basics that are the cornerstones of gameplay are two: RPG and PvP. Some players are more oriented to one of the two aspects. There are those who prefer to focus on the role play, in some cases realizing a real acting during the game. Some on the contrary seek confrontation with other players to show off their skills. In both these aspects Lineage II it has in the past represented a great game in which to try. The first Lineage, however, ceased to exist in June 2011 because of a poor performance, due also to the presence of the much beloved little brother. 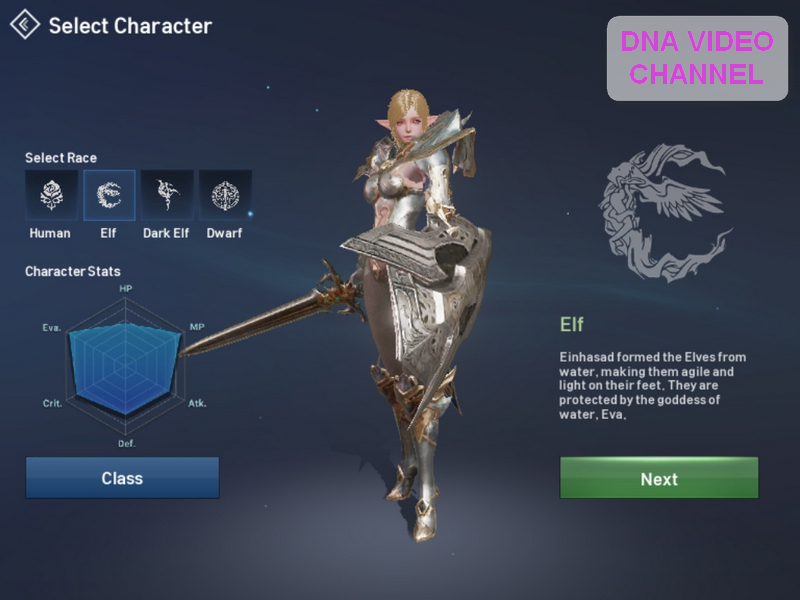 Currently, Lineage II is a great MMORPG also in the desktop world and considering it was born in October 2003, you will understand that to survive to date, it certainly has its charm. 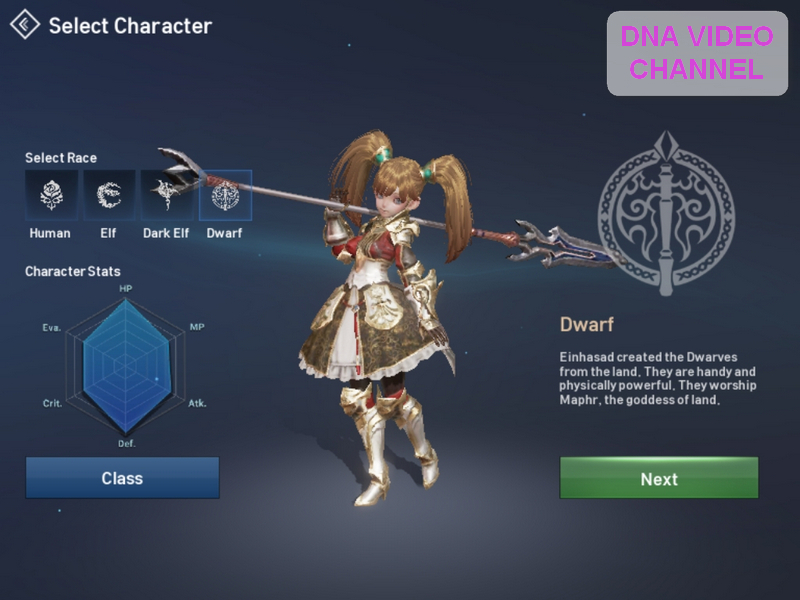 Let us return instead to the present day, talking about Lineage II Revolution, or the latest in the saga and especially developed for the mobile world. In this new game, events take place after the fall of Elmoreden’s empire. With the loss of strong central power, the various kingdoms of the empire began to declare independence and start bloody conflicts. Of all the antagonists, one in particular predominated over others, his name was Beleth, the most powerful sorcerers and drove the dark society. The thought of Beleth and his followers was simple. Instil fear and terror to rule over all. Fortunately, the plans of the evil on duty had been kept under close vision of Hardin. He was another sorceresses, who managed to block the plans of the dark now before it was too late. Unfortunately Hardin, although he was a good sorcerer, he could not hold his own against Beleth and all his merry band, so he decided to found a powerful group of mercenaries called “Silverlight”. You are an adventurer who wants to join the Silverlight for fame and glory and counter the darkness advanced. In Lineage II Revolution the races available to us are four. Humans, elves, dark elves and dwarves. The characteristics of every race, reflect much the classical world of role-playing. Humans. It is the balanced class for excellence. It has no particular strengths, but easily adapts to each class. Elves. Elves make agility their strength. They live in the forests and cure their abilities with the bow. The archer is the preferred class of this race, however they perform well even with magic. Dark elves. Dark elves, unlike their distant cousins, prefer magic and in particular are specialized in dark magic. However, they also do not disdain the physical attacks and it is not uncommon to meet dark elves bandits. Dwarfs. Dwarves worship the goddess of the earth, in return it repairs them by giving it the strength and powers of nature. Warrior and cleric are the favorite classes. Surely you will have noticed that on Lineage II Revolution have been adhered to the most classic class system of the RPG world. However, this does not displease, because often to innovate you find yourself with races, spells and abilities that confuse the player. Each of the previous races can access three possible basic classes and two specializations for each of them. To add variety to the game, even if the classes are equal, all races will have their own skills and spells. In this way being a mystic elf is different than being a mystical human. At level 31, you can specialize your character. In this case, each race will have its own specializations. Human. The warrior can become a tank in all its effects becoming a paladin, or a special warlord in attack and weakening of opponents. The bandit can choose to become a hunter of treasures expert in the use of daggers, or an expert archer Hawkeye. Finally the mystic will specialize in fire magic and become witches, or dedicate himself to healing and becoming a bishop. Elf. The experienced elf warrior can become a Temple Knight a tank specializing in area attacking skills, or a sword singer with medium-range attacking skills and buff of their own features and group. The bandit, because of its inherent agility, will become a wanderer flat, able to inflict a lot of damage in a very short time, or a silver ranger, able to hurl arrows great distance and with impressive speed. Finally, the mystic can become a spellcrafter, an ice specialist, or specialize in cure and buff becoming an elder. Dark Elf. The dark elves are capable of inflicting massive amounts of damage, the warriors of this race can decide whether to become a Shillien Knight to provide the vanguard of the attack groups, thanks to their ability to absorb the vitality of opponents, or an artist knife, refining its ability to attack and becoming a real danger to opponents. The bandit specialists of this race are wandering abyss and ghost ranger, the first one is a real body-to-body artist and his attacks are capable of causing bleeding to opponents; the latter is a less agile and quicker archer than his elven cousins, but with great power, capable of inflicting heavy damage even through the thickest armor. Dwarf. Dwarf Warrior is a classic of role-playing games. The tank class of dwarfs is the guardian, capable of provoking the opponents and decreasing their attack power. Their warriors focus more on the attack rather than on defense, they become killers, capable of carrying out huge damage. The bandit is the class less suited to the dwarves, but the specializations of this class, have very interesting features. The saprophage is capable of poisoning and slowing down opponents, the war ranger will use enhanced darts that explode to impact, causing heavy damage and debuffs. Dwarf myths relying on the earth element, they can specialize in powerful battle wizards, or alternatively, take advantage of the earth’s powers to cure and increase the vitality of their own group.. The saprophage is capable of poisoning and slowing down opponents, the war ranger will use enhanced darts that explode to impact, causing heavy damage and debuffs. Dwarf myths relying on the earth element, they can specialize in powerful battle wizards, or alternatively, take advantage of the earth’s powers to cure and increase the vitality of their own group. After seeing the races and classes at our disposal, you will surely have an idea of what your character will be. But what will meet you at the game? If we were to evaluate the Lineage II revolution, just for routine play, it can be considered as a great MMORPG with a beautiful contour story without introducing big news at the level of control or gaming system, indeed gaming dynamics looks like something already seen. This is also due to the autoplay that does not make the player understand what the gameplay is. Whether you are a small citizen or a whole universe, with autoplay you will always find yourself in the right place. It ‘s different to discovered exploring it. However, fortunately, the game does not stop at this and also offers much more. From the challenges to be faced alone as the tower of insolence or in company as the secret where you can get rare and precious objects for the development of your equipment. At PvP, which is a fundamental part of the game, and that earns a lot of points in Lineage II Revolution, enhancing it and placing it like several MMORPGs in the desktop world. In Lineage II Revolution, the union of friends, acquaintances, perfect strangers who are nice or who for any other reason want to be together are called Clan. As in every game respectable, the clan evolves over time and grows in power thanks to its members. The strongest clans can have among its ranks to 50 members. After joining a clan, you will be able to take part in the wars between the clan and the special Siege of Fortress and Siege of the castle. Conquering and holding a fortress brings considerable economic benefits as well as buffs that make pvm fighting simpler. During a siege to the fortress, they will clash on the clan that controls it and must defend at all costs, against eleven other clans that have the opposite goal to destroy it. In the siege to the castle of Dion, they will have to face the clan that owns the castle against three clans who besiege it for the purpose of occupying it. In this type of battles, they can come into conflict up to two hundred players at once. Who owns the castle, he will be entitled to collect taxes from other clans. The siege to the Castle of Giran. A mode different from the usual siege, besieging the team will have to make its own brands in the artifacts room within a maximum of half an hour time. Only clan leaders can imprint the brand and while they do are helpless. So other members of his clan will have the task of protecting him, and defenders will instead have to try to block them. Defenders may also win the battle, destroying the headquarters of the besiegers. They will also be equipped with various defense systems and traps to drive the besiegers. Certainly not miss a nice amount of PvP and clashes will certainly be very interesting. Well we came to the conclusions of the review Lineage II Revolution. I waited a long time the release of this game since I had seen the excellent potential in koreana version. What are the positive aspects of the game? Surely the Unreal engine does its dirty work and offers a really good quality graphics. We’re talking about an engine that nearly equals the performance of the best games on the desktop. Another positive aspect is the story that has much taken and fascinated me. Quests as far as they may be, from time to time offer something different and make it a little less monotonous. PvP is something great, certainly for mobile devices you will not find better. That said, it would almost seem that the game borders on perfection, however in my opinion it also has its flaws. As I mentioned earlier, the choice of autoplay does not make me crazy and loses the player the pleasure of exploration. You can always choose to disable it from the settings, however if the game offers it, many will certainly use it. Another negative point is that the game is oriented as often happens to pay-to-win. In sieges and PvP you notice too much of the equipment difference between who pays and who does not. Finally, a negative point that I found on my personal experience and game preferences, is the simplicity of the game itself. The amount of actions and combinations they can make is very limited compared to any other desktop MMORPG. Tell me your leaving a comment on the article and share it with your friends. If you want to stay up to date on the latest news, please subscribe to my pages, to my YouTube channel or to my newsletter. Hi and to next time.